New Salmon data suggests that more online shoppers are looking to smartphones and tablets. Salmon has released the results of its new research, showing that holiday season m-commerce rose by 26 percent this year. The Christmas shopping period has had U.K. shoppers turning to their smartphones and tablets to check prices, products and even to buy. The increases began on Black Friday when mobile orders spiked with the launch of the shopping season. According to Salmon research data, 53 percent of survey respondents said holiday season m-commerce made their shopping “easier and more convenient.” Another 57 percent of consumers in the U.K. said they would be prepared to embrace automated purchasing called Programmatic Commerce within 2 years. On average, consumers in the United Kingdom were shopping online nine times per week, but this increased throughout the holiday shopping season. Mobile traffic increases suggests that consumers used m-commerce to fit their gift shopping into their very busy schedules. 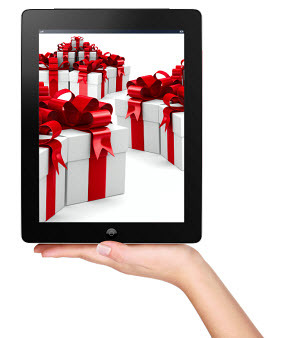 As holiday season m-commerce approached Christmas, it continued to grow in its use. Salmon recorded a growing shift toward mobile traffic and orders the nearer Christmas approached. 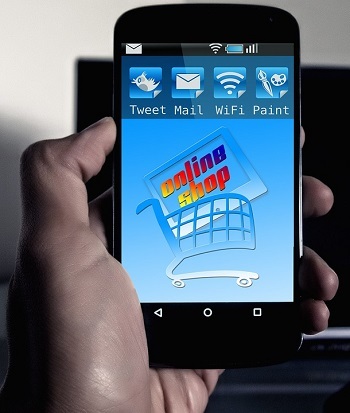 Ever since Black Friday, mobile devices were leading in online retail traffic. Of all online traffic, 53 percent came from smartphones alone. In total, smartphones and tablets represented 68 percent of the traffic recorded at retail sites. On the whole, this represents a 26 percent increase in the amount of retail mobile traffic when compared to 2015. This closely reflects the increase in mobile commerce use that was established on Black Friday, when 68 percent of the online retail traffic and 51.2 percent of the online orders came from smartphones and tablets. This represented the first year that mobile devices brought in more sales than desktops and laptops. A Trustlook survey showed that consumers will ignore certain risks in exchange for easy shopping. Mobile commerce security is an important issue this holiday season. Seventy one percent of smartphone owners plan to use their mobile devices to help them along some point of the shopping journey. Trustlook has recently released a survey with results from which it has made its holiday predictions. The Trustlook survey focused on smartphone users with Android phones. The goal was to accurately forecast consumer behaviors throughout the holiday shopping season this year. What they found was that 40 percent of the survey participants actually prefer shopping over smartphones. This despite the mobile commerce security concerns that have been holding back the channel’s adoption. Another 18 percent of the survey participants said that their preference was to shop in-store during the holidays. The results revealed that 43 percent of smartphone users will be making over $250 in purchases over their devices. The top m-commerce apps were identified as Amazon, eBay and Walmart. That said, shoppers haven’t taken adequate mobile commerce security steps to protect themselves. Even though 70.35 percent of participants in the survey said they planned to make a purchase over a smartphone or tablet, they were not protecting their personal and financial data. In fact, a wide majority of people hadn’t even installed security software. Sixty four percent of survey respondents did not have a mobile security app installed on their device. This is an interesting finding as concerns over mobile security have been among the top cited reasons that people have held off shopping over smartphones. It appears that there is a growing group of people who are moving ahead with smartphone based shopping regardless of that potential issue. The hope from security firms is that if consumers are willing to ignore the mobile commerce security risk, they will at least take more steps to protect themselves. There are several small steps such as security apps that can help to keep sensitive data safer.